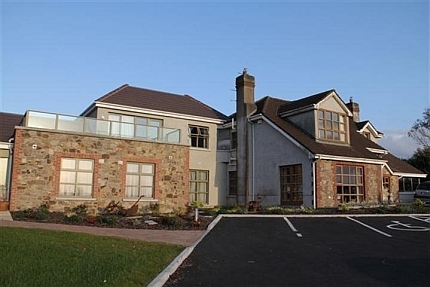 Samuel’s Heritage is a warm, family-oriented and family-run Bed and Breakfast situated amidst the rolling hills surrounding Waterford and overlooking the river Suir. The owners Susan Bailey-Daunt and Des Daunt are expert and experienced hosts who go out of their way to provide guests with all the comforts of home. They will pleasure your palate with their culinary prowess, providing an ample and nutritious breakfast for guests using mostly home-made, organic and local products. Samuel’s Heritage is a family-friendly B&B, with own children on the premises and baby-sitting services available, as well as high-chairs and other equipment for children’s needs. After 15 Years of successfully running Samuels Heritage Bed & Breakfast. We have taken the brave move of extending our Business. Samuel’s Heritage can now offer 6 Brand New Hotel size ensuite Rooms – one of which is a fully Wheelchair accessible Double Room with roll in Shower Room. All our Rooms have a Double (2 have 6ft Zip & link beds that can be made into 2 Single Beds) & Single Bed & are on Ground level. Please check out our New Boutique B&B & enjoy our Comfortable Rooms with ample sized Walk-in ensuite Shower Rooms or Bath. To relax after a long journey or before going out on the Town or attending a function why not try out our Brand New Infra red Sauna at your leisure. In our Dedicated Laundry Room we can cater for our Guests Washing requests – No need to go elsewhere when we have these facilities in-house. Staycation @ Samuels Heritage B&B Waterford. The facilities at Samuel’s Heritage B&B are accessible to guests who require the use of wheelchairs or mobility aids. We are happy to assist in any way possible to make your stay with us enjoyable. If you have any specific requirements please contact us in advance to make any desired arrangements. Reserved Wheelchair car parking at the entrance of our B&B. All facilities such as Breakfast Room , Lounge, Infrared Sauna & Mini Gym as well as all Room are located on the ground floor. Samuel’s Heritage has wonderful Panoramic view of Waterford & the extended Countryside including 4 Counties (Waterford- Kilkenny- Tipperary – Wexford) .